New London, CT – Coast Guard Academy Director of Athletics Tim Fitzpatrick announced he is stepping down to become President of the New York Youth Baseball Foundation. He will assume his new role in February. Fitzpatrick was in his seventh year as Director of Athletics at the U.S. Coast Guard Academy, and on his watch the athletic program has seen growth in several key areas. The Bears have won four straight Superintendent's Trophies against the Merchant Marine Academy and are well on their way to a fifth straight leading the Mariners 7-0 this season having won all seven athletic contests this academic year under his watch and last year, was Coast Guard's best ever finish in the Learfield Cup which reflects competitive success in Division III and the Bears ranked 120th out of 465 institutions. In addition to securing a comprehensive shoe and apparel agreement with adidas America for all varsity and chartered clubs, which was renewed for a five-year term in 2018. 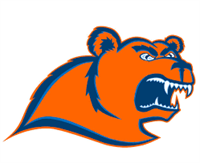 He also oversaw a rebranding initiative that has resulted in new logos and marks and created an athletic booster organization, the CGA Bear Club, as an annual giving entity to fund athletics "margin of excellence" projects and initiatives. "It has been an honor and a privilege to serve as the Director of Athletics at the Coast Guard Academy" said Fitzpatrick. "I've been blessed to have the unconditional, complete support of two Superintendents – Admiral Stosz and Admiral Rendon – and because of their commitment to Athletics as an indelible part of the academy mission and experience, the total program is strong, healthy and will continue to grow in the future." "CGA will always hold a special place in my heart, and as I begin the next chapter of my career, I look forward to being a true Bears fan and to watching CGA's amazing cadet-athletes excel on the playing fields for many years to come," added Fitzpatrick. Under his leadership the Academy has renovated Billard Hall into the Otto Graham Hall of Athletic Excellence and saw significant fundraising progress for the to-be-constructed Cadet Strength & Conditioning Center initiative in conjunction with the Alumni Association. "Tim Fitzpatrick has been a positive and powerful force here at the Academy these past seven-plus years and will be dearly missed. His vision and leadership as our Athletic Director has been seen and felt by this Academy Community in so many ways," said Rear Admiral James E. Rendón, Coast Guard Academy Superintendent. "He's brought a standard of excellence to everything "Athletics" and I truly appreciate the caring and collaborative spirit he has modeled as one of our senior leaders. We offer heartfelt thanks to Tim for the tremendous impact he has had here and wish him well as he begins a new chapter of continued service to others. Forever, Go Bears!" Under Fitzpatrick's guidance, the department now conducts an annual women's professional development seminar (the Women's LeadHERship Symposium), which features prominent national leaders in women's athletics for female USCGA athletic staff members as well as attendees from colleges and universities throughout New England. The eighth one was held on Monday with a record 130 attendees. He established the first ever Cadet-Athlete Code of Conduct and saw both men's and women's lacrosse elevated from chartered club spots to varsity programs and worked with admissions to re-establish CGA's partnership with the Naval Academy Prep school for varsity sports cadet-athlete prospects. Fitzpatrick was the driving force with ESPN which saw the men's basketball team's appearance in the Armed Forces Classic in 2014 and again next season as well as the signing of a six-year agreement with ESPN to televise the annual Secretaries' Cup football game, an agreement which extends through 2022. "I am so pleased to have a deeply experienced professional like Tim Fitzpatrick to join us as the President of the New York Youth Baseball Foundation," said Sandy Ogg, Founder of New York Youth Baseball. Ogg is a 1976 graduate of the Coast Guard Academy and was a 1996 inductee into the Coast Guard Academy Athletic Hall of Fame. Ogg added, "He will make a big difference in the lives of many young student-athletes." Prior to the Academy Fitzpatrick was the Director of Athletics at Texas A&M-Corpus Christi for two years prior, after spending the previous four years as the Deputy Athletic Director at Indiana University. He has also held executive level administrative positions at Army-West Point and The University of Pittsburgh. © 2019 Chamber of Commerce of Eastern Connecticut, All Rights Reserved.